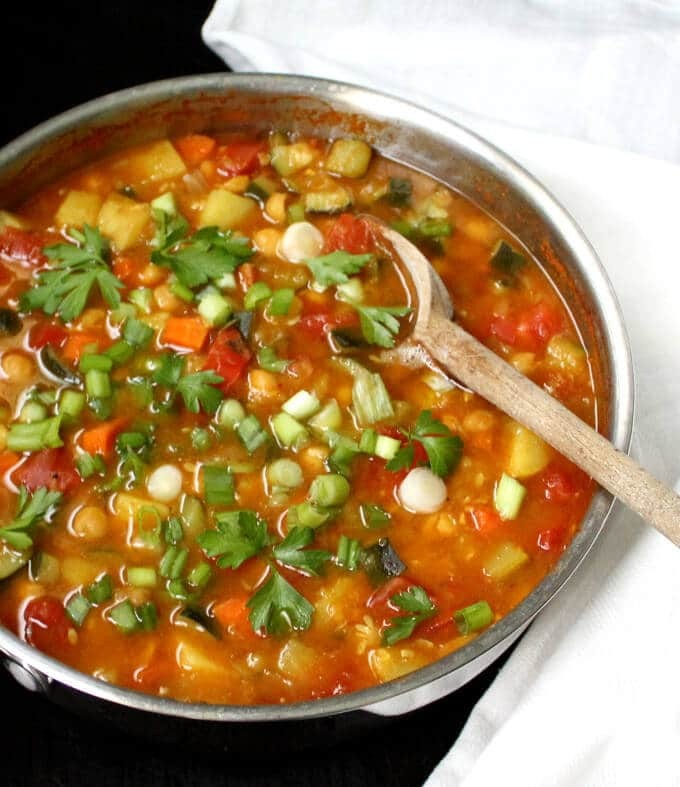 My easy and flavorful vegan Moroccan Chickpea Stew is packed with veggies like zucchini, potatoes, bell peppers, carrots and tomatoes. All of this goodness is brightened with a vibrant Harissa sauce. 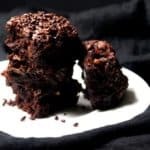 The recipe is no-oil, soy-free, gluten-free, and nut-free. 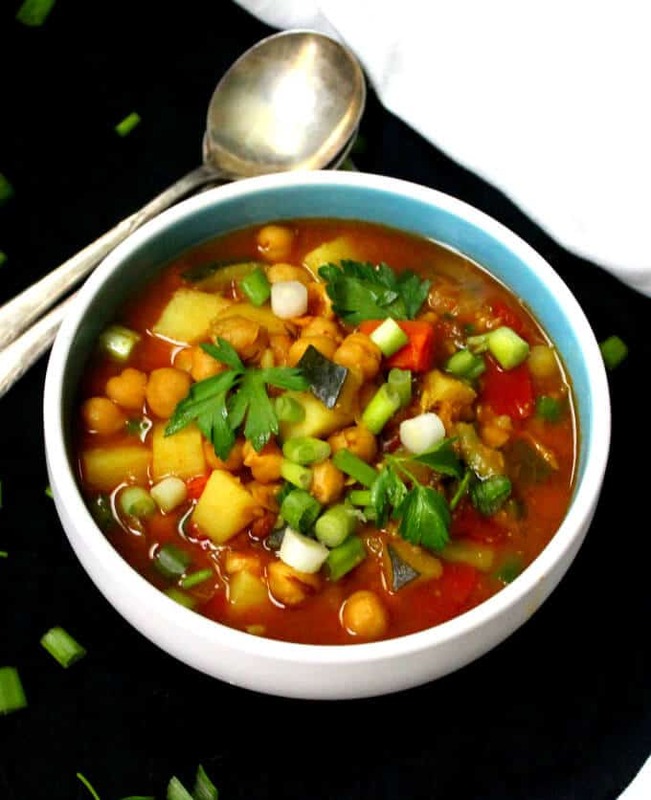 I am updating a recipe I posted many years ago on this blog, for a flavorful and delicious — and incredibly healthy — Moroccan Chickpea Stew. I wanted to make this version without any oil, including the harissa that gets stirred into the stew at the end, and usually is blended with oil. The recipe I have for you today, then, is a healthier version of an already healthy recipe. 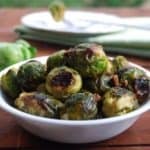 I have been sharing more oil-free recipes of late, and that’s mostly because I’ve been trying to eat that way myself. 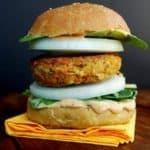 This is not a new concept for me: I worked for years at the Physicians Committee for Responsible Medicine which preaches oil-free cooking, and although I did see and taste a lot of great oil-free food in those days, and experimented with it quite a bit in my own kitchen, I never became a total convert. And while I am not giving up fat completely now, I have to say that eating oil-free for the most part these last couple of weeks has really been quite wonderful. I definitely feel better and lighter, and I can’t think of one good reason why I didn’t do this earlier. 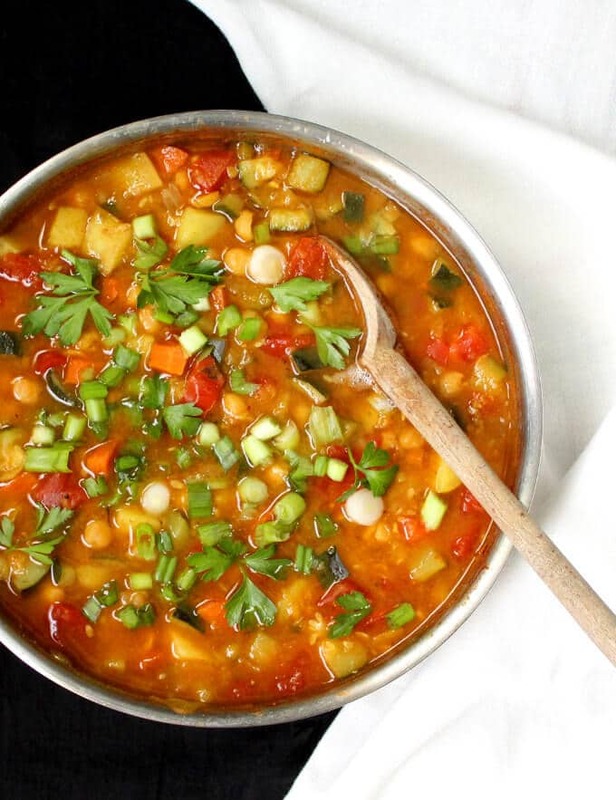 On to this oil-free version of my vegan Moroccan Chickpea Stew. Moroccan food is among my favorites when we eat out. 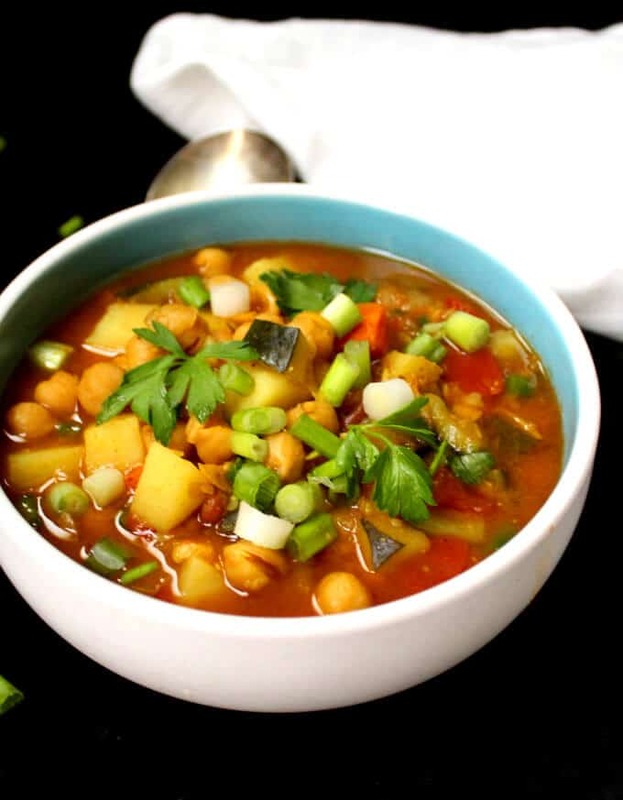 For one, it is never hard to find vegan dishes in Moroccan restaurants because the cuisine of that region is rich in vegetables and grains and legumes and spices. Then there are the candles, the belly dancing, and all those other fun trimmings. What’s not to love? 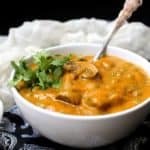 But if you are willing to forego the extras, it can be quite easy to whip up a divine Moroccan dinner right in your own kitchen. Better, you can make it really healthy. 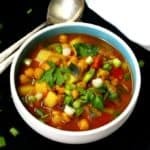 This Moroccan Chickpea Stew is just such a fragrant concoction, and I’ll bet you will want to eat every last drop of it right at one sitting. 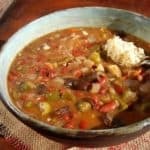 I use a number of veggies in this stew, including zucchini, carrots, bell peppers, and onions, finishing up with a garnish of leafy spring onions. It makes for a complete meal by itself, or with some couscous, bulgur, rice or polenta. There are few ingredients in this recipe, so it’s crucial you don’t skip them. Especially the harissa which adds tons of flavor and really isn’t anywhere near as spicy as you’d think it would be. 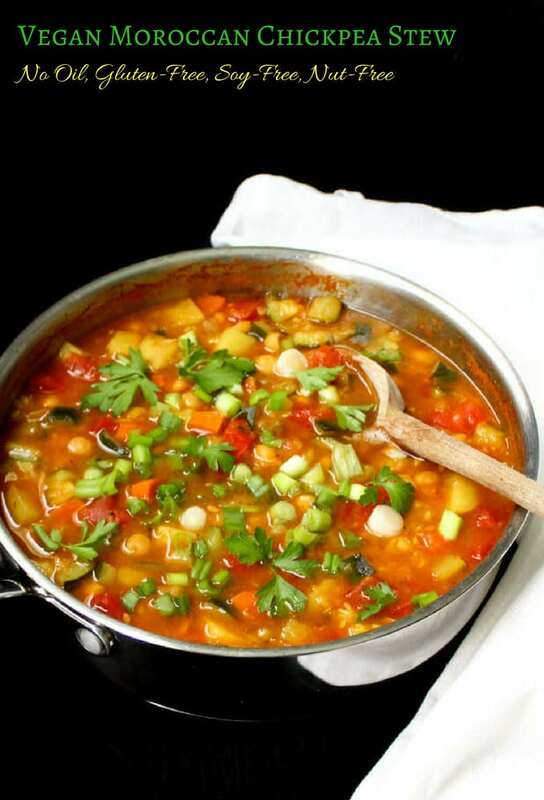 Whip up this vegan Moroccan Chickpea Stew over the weekend. It’s a keeper. 2 tbsp thyme, remove leaves from stems and run a knife through them. Make the harissa paste by roasting the chilies on a dry skillet until they darken slightly. Add the coriander and cumin and garlic and stir until the seeds start to turn color and smell fragrant. Place all the harissa ingredients in a blender and process until fairly smooth. In a large saucepan, heat 1 tbsp of vegetable stock and add the onions, garlic, and ginger. Saute until the onion gets soft, about 4-5 minutes. Add a tablespoon more of the stock if the pan gets too dry. Add the chickpeas and about 2 cups of liquid. Add tomatoes, coriander-cumin powder, potatoes, turmeric and salt to taste. Add the thyme, carrots, zucchini and green peppers. Cook another 10 minutes until all the vegetables are tender. Check salt. Stir in the harissa paste, a tablespoon at a time, until you get the heat you desire. Store any remaining paste in an airtight jar for a week, or freeze for longer shelf life. Garnish the stew with parsley and chopped scallions. Serve hot. Love the color of the stew Vaishali..:) YUMMY! fredie is so cute! how old is he? anyways ur recipe is good…luv chikpea a lot! Just to think of this dish makes me very hungry for spicy chickpeas. What’s not to love, indeed! this looks like such a delicious meal. 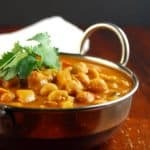 i love chickpeas in stews and curries. love the pic of freddie as well. I’m always up for anything with chickpeas in it. Certainly looks good. Morrocan food has a lot in common with Indian food, flavour wise, I think. Harissa, wonder whether I can get them in Malaysia. Time to check out the local stores. Cham: Thanks. The harissa does indeed make all the difference. Siri, Karuna, Sunshinemom, Christy, Susan, Usha, Jo, Thanks! Sangeeth: Thanks! Freddie will be 16 in December. He’s quite a guy! Aparna: You’re right. Moroccan food does indeed share a lot of the same flavors as Indian cuisine, making it very appealing, I think, to our tastebuds. 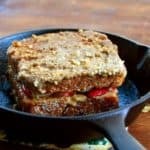 Pete, You can easily make the harissa yourself, following the recipe in my post. I guess you might be able to find the paste readymade at some ethnic stores. Vaishali I made the stew today for dinner and we all loved it absolutely. It was very filling and tasty. My husband couldn’t get enough of it. I wanted to take a picture to put it in the blog but it became so dark here around 6.30pm itself. So I have reserved a small portion to take a picture tomorrow. I forgot to soak the red chillies, so I just ground it fresh for the harissa and it did taste well. Thank you for this wonderful recipe. Madhuram, So glad you tried the stew. I’ve been sick and lying low this past week, but you really made my day. Thanks! Hi Vaishali. This looks so good and as I prepare meals for my elderly mother, who loves chickpeas, this will be a part of tomorrow’s dinner. Can you tell me when you soak the chilis – are they the dried ones or fresh. Never heard of soaking before, so just want to check this out. Thanks so much. Can u tell me which red chillies are you mentioning? Can i use the red dry cillies? Shailly, yes, I mean the dry red chillies. Feel free to write if you have other questions. I made this recipe on Sunday, and since I’m in Barbados I alternated a couple things (pumpkin for zucchini, 1 potato for 1 sweet potato, and red chilis for scotch bonnet peppers). It was simple, delicious and AMAZING! The harrisa is the perfect addition, and my family also loved it. Can’t wait to get more of your recipes via email! Hi there. I wasn’t sure if the Harissa goes in the stew or it’s a dish on the side? The photo looks delicious! Mark, you stir in the Harissa paste into the stew at the very end. Good luck! 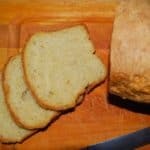 I am new for about three + months and absolutely love your food and your blog. 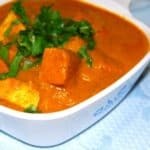 I studied in India and miss the food. You make it so easy and simply delsih! Hi Sally, thanks for your lovely message, and so nice to meet a fellow Indophile. 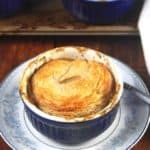 Hope you will try and enjoy the recipes! 🙂 hugs. Hi Miru, Freddie was (he passed on in 2011) probably a poodle terrier mix. Your old chap must be really adorable if he’s anything like my lovely Freddie. I am new to your e-mails and am wondering just how spicy these dishes are. For health reasons I am unable to eat very hot spicy food. This Moroccan dish sounds so good I really want to try it but am a little scared I will not be able to eat it. Please help. Hi Pat, you can totally control the level of spice in this — just add less of the Harissa or use smoked paprika blended with some garlic and olive oil instead. This sounds wonderful! I don’t have any chickpeas on hand, but I’ve got a back of 15-bean mix. I’m wondering if that might be a decent substitute, or if the beans will get too mushy? I made the stew and it took more than an hour to prepare the ingredients. Cooking was quick and I am hoping that resting a day will make the liquid a little thicker and the flavors meld. Freezing half for later. Where else can I use the harissa? Thanks so much. Looking forward to more new recipes.